This training has been approved by the Tennessee Department of Health as an approved training to enter in a collaborative pharmacy practice agreement with the Chief Medical officer at the Tennessee Department of Health for pharmacists dispensing of naloxone. Completing the online evaluation for the session. This program has been prepared by the Tennessee Department of Mental Health and Substance Abuse Services, the University of Tennessee Health Science Center College of Pharmacy, and the Tennessee Pharmacists Association. The statewide collaborative pharmacy practice agreement can be found online HERE. Please note: Throughout this training, several questions will appear at the bottom of the screen. You will need to answer those questions in order to move foward with the webinar. At the end of the session, a code will be given in order to complete the evaluation. After you complete this evaluation, you will recieve a certificate to keep in your files. Discuss the role of naloxone, an opioid antagonist, in the community to rescue individuals from life-threatening opioid overdose. Recognize characteristics of individuals who may need naloxone. Describe the signs and symptoms of serious opioid overdose. Train individuals on how to properly use naloxone through direct counseling at the time of dispensing. Describe the requirements of the naloxone collaborative pharmacy practice agreement. Brief Bio : Dr. Lucy Adkins, PharmD is the Director of Pharmacy Practice Initiatives at the Tennessee Pharmacists Association (TPA). Dr. Adkins earned her Doctor of Pharmacy degree from the Bill Gatton College of Pharmacy at East Tennessee State University. Dr. Adkins began her pharmacist career as TPA’s Executive Resident in Association Management and Health Policy. After her residency, she joined the staff at TPA in her current role. In her role, Dr. Adkins has built relationships with TPA members and partners, and provided support and resources to them while managing several grants and opportunities aimed at increasing patient access to pharmacist-provided care and elevating the standards of care within pharmacy practice in Tennessee. She is a current member of TPA, APhA, NCPA, and Phi Lambda Sigma. Dr. Adkins currently resides in Nashville, Tennessee. Disclosure : No financial disclosures. 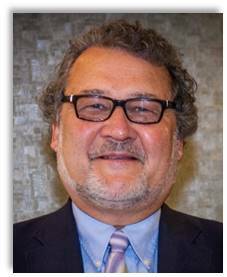 Brief Bio : Dr. Peter Chyka is a Professor of Clinical Pharmacy and the Associate Dean of the University of Tennessee Health Science Center College of Pharmacy, Knoxville campus. He graduated from the University of Utah with a B.S. in Pharmacy (1975) and from the University of Minnesota with the Doctor of Pharmacy degree (1977). Dr. Chyka directed the Southern Poison Center in Memphis from 1981 – 2004 and the UTHSC Drug Information Center from 1987 to 1998. He is a Fellow of the American Academy of Clinical Toxicology (FAACT) and has been board certified as a Diplomate of the American Board of Applied Toxicology (DABAT) since 1990. Dr. Chyka has authored or co-authored 100 peer-reviewed journal articles or book chapters and has served on the editorial boards of Annals of Pharmacotherapy, Drug Safety, Clinical Toxicology, Journal of Pediatric Pharmacology and Therapeutics, and Pharmacotherapy. During 2007 – 2010, he served the United States Pharmacopeia as the elected Chair of the Clinical Toxicology Information Expert Committee and member of the Executive Committee of the Council of Experts. His scholarly interests include the treatment of human poisonings from drugs and dietary supplements. 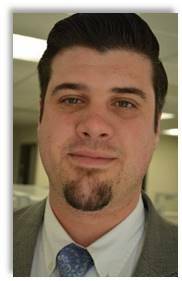 Brief Bio : Dr. Wesley Geminn, PharmD, BCPP is the Chief Pharmacist and State Opioid Treatment Authority for the Tennessee Department of Mental Health and Substance Abuse Services’ Division of Clinical Leadership. Dr. Geminn graduated from the University Of Tennessee College Of Pharmacy and completed a post-graduate residency in managed care and psychiatry with the Tennessee Department of Mental Health and Substance Abuse Services. He is currently board-certified in psychiatry by the Board of Pharmaceutical Specialties. Dr. Geminn is currently serving as Tennessee’s State Opioid Treatment Authority which is responsible for providing regulatory oversight, education, and clinical and technical assistance to Tennessee’s opioid treatment programs. Dr. Geminn provides several lectures to the public and schools of pharmacy in the areas of mental health and addiction. He is a preceptor for third and fourth-year pharmacy students on their health policy rotation and is also the acting Residency Program Director for the department’s PGY1 Managed Care/Psychiatry Residency Program.